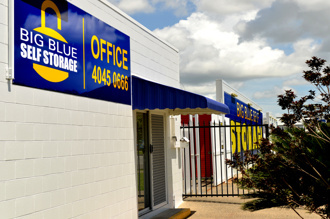 Centenary Self Storage is a 100% locally owned and managed storage facility in Cairns that is operated under the watchful direction of owner Diane Edwards. Conveniently located in the busy industrial area of Edmonton in the South of Cairns, the centre is both close to Cairns and in an area that is secure. Diane has been running cairns storage for many years and has built a business that is fully equipped to deal with its clients storage needs. Centenary Self Storage is a modern self storage facility in Cairns and keeps up with changing trends in security and accessibility meaning your items will be stored in the safest storage place in Cairns. Centenary Self Storage in Cairns offers a wide variety of different storage options and can tailor a solution to suit your needs - whether for the long or short term. 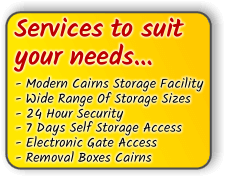 Our experience as one of the leading self storage facilities in Cairns is your asset when choosing a reliable centre to store your items. Drop in and say hello to Diane today or give us a call to discuss your requirements. 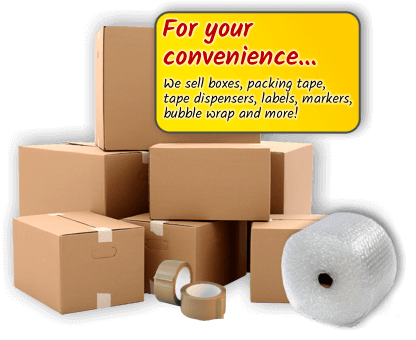 Centenary Self Storage Cairns sell boxes, tape, padlocks, packaging items, labels and any other items that relate to moving and storage needs. We have these items in our Cairns store now. Click here to find out more about our Ancillary items. Centenary Self Storage Cairns can securely store your car or boat for long or short term in our fully insured and safe facility. Whether you’re going away on holiday or for business, for 2 days or 2 years, we can secure your car or boat. Centenary Self Storage Cairns Storage, Cairns Self Storage who sell moving boxes Cairns and removal boxes Cairns or packing boxes in Cairns.